I need thousands of followers! Size really isn’t everything. Honestly. As far as social media is concerned, engagement is key. Slowly build up your followers and interact with them, like their posts, leave a comment, RT them. I need to be on every social media platform. Be selective. Is it appropriate and necessary to be on them all? Look at your existing customers and target markets and see which platforms they use. Vary your content and tone in relation to the platform you are using too. I need to sell, sell, sell! Obviously share special offers, post about your specialisms, but no-one wants to be bombarded with a sales pitch every few hours. Be seen as an expert in your field. For example, you could post tips or share useful articles. Again, engage with people and try to inspire, educate and if you can, entertain them. Show glimpses of your employees and behind the scenes of your business. Dare I say it, even have a personality! Waterstones recently hit the news for the Twitter feed of one of their London stores. The brand amassed a great following due to their witty feed. So witty in fact, that the ‘Tweeter’ ended up getting married to a follower who ‘fell in love’ with his tweeting style, (nb. not all tweeting will result in marriage #JustSayin). Maybe some of your existing customers don’t, but what about your potential new customers? 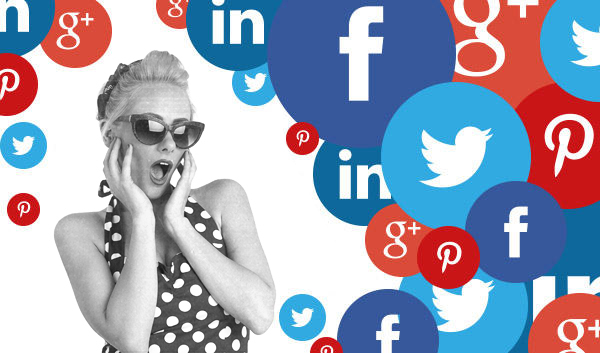 eMarketer estimates that, “social network users will reach 2.34 billion in 2016. Nearly one third of the global population will use a social network this year”. Interestingly over 80% of these people will do so using their mobile phone. Several of the social media platforms have their own analytics tools, enabling you to track content, new leads, engagement, top posts, and there are other free tools which also provide analytics. Try a few social media platforms, have a basic strategy in mind. (ask yourself: are there any new products you want to promote? Any organisations you’d like to connect with? A number of networking organisations which you’d like to join?) Have a timeframe in mind. How much time are you willing to put into your social media? Literally 15 minutes in the morning can have an impact and you can schedule some of your posts throughout the week, using social media scheduling software such as Buffer. (Remember social media is about TALKING to people, scheduling tweets has its place but nothing beats engagement in real time, with a real person).